The siege of St Andrews was one of the defining events in the early struggles to bring the reformation to Scotland. The castle, on the southern shore of Fife, overlooking the Firth of Forth was the seat of the Archbishop of St. Andrews, the primate of Scotland, a position held from 1539 by Cardinal David Beaton, one of James V’s closest advisors. During a James V’s reign, the king had strongly resisted Church reform, at least in part as a signal of his independence of his uncle, Henry VIII, who never ceased interfering in Scotland. But although James refused to countenance any deviation from traditional Catholic practice, he impoverished the Church materially, through acquisition of much of its wealth (to shore up his empty treasury), and doctrinally, through failure to ensure that the Church hierarchy addressed the flagrant abuses. The Church hierarchy was dominated by career clerics - the younger sons of lairds with no other prospects, and several of James’ illegitimate sons, were given senior church positions, regardless of their spiritual fitness. They did little to minister to their flocks, and the appropriation of the Church’s revenues by the Crown or the senior clerics left little for the maintenance of high quality parish priests or for the care of the needy. This left a vacuum in spirituality that the early Reformers endeavoured to fill, as soon as James was dead. On the death of James, there was a dispute over who should be Governor of the kingdom during the minority of the infant queen, Mary. Traditionally, the role was allocated to the nearest male heir, in this case, James Hamilton, Earl of Arran. 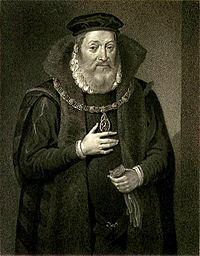 Arran, whilst not fully committed to religious reform, was interested in it, and was also eager to follow a pro-English policy, negotiating the Treaty of Greenwich, by which Queen Mary would marry Edward, son of Henry VIII. Arran permitted the Bible to be read in the vernacular. There was no Scots edition, so the English Great Bible of Henry VIII was imported and began to circulate. Seeing a change of religious climate, in 1543, George Wishart, who had fled Scotland in 1538, after being accused of heresy, returned. Wishart’s message fell on fertile ground as he travelled from east to west of the Lowlands of Scotland, condemning the papacy and promoting the Reformed Faith of Calvin and Bullinger. Arran’s rival for the regency was Cardinal Beaton, who, unsurprisingly, given his role as a Cardinal, opposed reform, and supported the traditional pro-French alliance. Disappointed of being appointed to the regency by acclaim, Beaton produced a forged will, purporting to be from James. Its validity was denied and he was sent to house arrest at Dalkeith, where he remained until mid-March 1543. Once freed, Beaton continued his anti-English policy – using the controversial annulment of the marriage of Arran’s father to his first wife as a lever. If the annulment were invalid, Arran would be illegitimate and would lose his earldom and his protectorate. Arran, an extraordinarily indecisive man, succumbed to pressure, and drew back from both the English policy, and religious reform. Henry VIII saw Bethune as the cause of the difficulties of the pro-English party in Scotland. He continued to encourage reformist preachers in Lothian and Fife, and both districts became strongholds of Protestant lairds. Amongst these lairds was Norman Leslie, the Master of Rothes, who offered to assassinate the Cardinal, if he could be sure of English protection. Whilst the English government thought this a splendid idea in principle, Henry could not be seen to be encouraging such a shameful act. Instead, Lord Cassilils, who received an English pension (as did many others) was required to protect George Wishart in his travels. Beaton was not inclined to extensive religious persecution, but Wishart was creating too much of a stir. Beaton, informed that Wishart would be attending a meeting in Edinburgh called upon his political ally, the Earl of Bothwell, to arrest him. Bothwell was himself a Protestant, but he was hoping to marry Marie of Guise, and was also pro-French, rather than pro-English. Bothwell had promised Wishart and his followers that the preacher would not be handed over to Beaton, but either changed his mind, or had never had any intention of keeping his word. 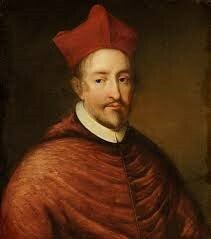 Wishart was taken to St Andrews, tried for heresy and executed. There is some dispute over whether he was strangled before being burnt, or not. Wishart’s supporters in Lothian were horrified. A group of them, led by Norman Leslie of Rothes and Sir William Kirkcaldy of Grange, plotted revenge, with the covert support of the English government.